Assistance League Sites > Assistance League - Diablo Valley > Our Philanthropic Focus > R.E.A.D. to libraries, classrooms and children. This philanthropic program provides reading enrichment experiences for children in second grade classrooms at twelve elementary schools in Mt. 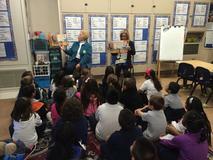 Diablo Unified School District and Buena Vista Elementary School in Walnut Creek, CA. 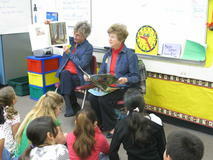 The books that are read by chapter members are then donated to the classroom. Last year, $21,000 in books were donated to children, second grade classes and school libraries. Readers read to more than 1,100 students and a gift book was given to each student at the end of the school year.